The course is located at the end of the 700-home River’s Bend neighborhood. An effort to sell a long troubled local golf course has taken one more step toward the finish line. 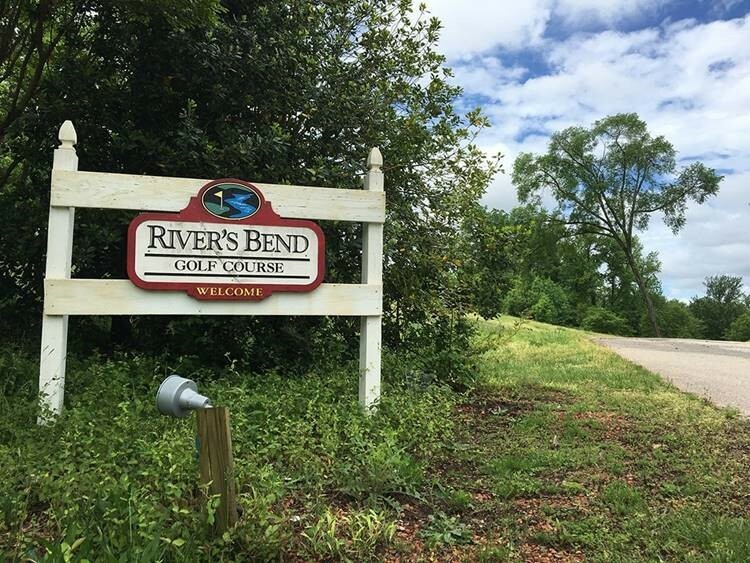 River’s Bend Golf Club in Chester is under contract to be purchased by Charlottesville developer Justin Beights and his new land conservation firm Renovo. Beights, a UVA graduate, said Friday he’s under contract with an entity controlled by the family of local hotelier and River’s Bend resident PC Amin. That company owns the loan secured by the 177-acre golf course, much of which is prime riverfront real estate. Beights wouldn’t comment on how much he’ll pay for River’s Bend. He said no closing date has been set, but that he’d like to have the deal finalized before the end of the year. Part of the closing process will involve Amin’s entity getting control of the deed to the property from Ronnie Kelley, the longtime owner of River’s Bend. Kelley did not answer a call on Friday and his voicemail box was full. Amin confirmed that the property is under contract. The pending deal is the first concrete sign of progress for River’s Bend, which has been overtaken by nature and closed for play since the spring. The course fell on hard times during the recession, which left it threatened with foreclosure. Amin, who was an investor in the course in 2007, purchased the note through the family’s LLC in 2009 from SunTrust. He’s since patiently mulled plans that included selling the bulk of the course’s riverfront land to a developer, conserving that land, and revamping the remaining golf holes as a cheaper, faster 12-hole course. Kelley himself had tried to secure a conservation deal of his own, but it never came to fruition. Beights formed Renovo was formed about a year ago and has since been pooling money from investors to acquire properties for conservation with a business model that generates returns by using a variety of government programs that offer tax credits and deductions from conservation easements, stream restoration, wetland mitigation and nutrient credit creation. Beights said his plan for River’s Bend will ideally involve conservation of the entire property. Beights’ background is in residential lot development. One of his larger projects was Old Trail Village in Charlottesville, which included the daily fee Old Trail Golf Club. Renovo’s initial funding pool is $3.5 million. Including River’s Bend, Beights said the company has five golf courses around the state that’s interested in, including the Royal Virginian Golf Club, an actively operating golf course in Louisa. “I realized that golf courses were something that might work well for this program,” Beights said, because he thinks he can get them at a good price and the natural features and layouts on many courses are conducive to conservation. Renovo is one of at least two groups interested in River’s Bend for its conservation potential, particularly the section of the course that sits along the James River across from Henricus Historical Park. Regardless of whether the River’s Bend deal reaches the finish line, Beights said his desire is to pursue other golf course deals in the Richmond market.